Lovely card Pat, that paper is sooooo nice! Oh Pat your card is gorgeous did you get snow? we did!! Hi Pat this is gorgeous love the die cuts you have used also the opulent colour scheme and that delightful image a really lovely Christmas card. Hey Pat - you are so good at designing cards - this is beautiful! I do love youy flower!! Oh this is really sweet Pat… such an adorable image! I love the pretty frame and flower… the warm colours give the card a lovely Cosy Christmas feel to it. Pat, such a beautiful card. 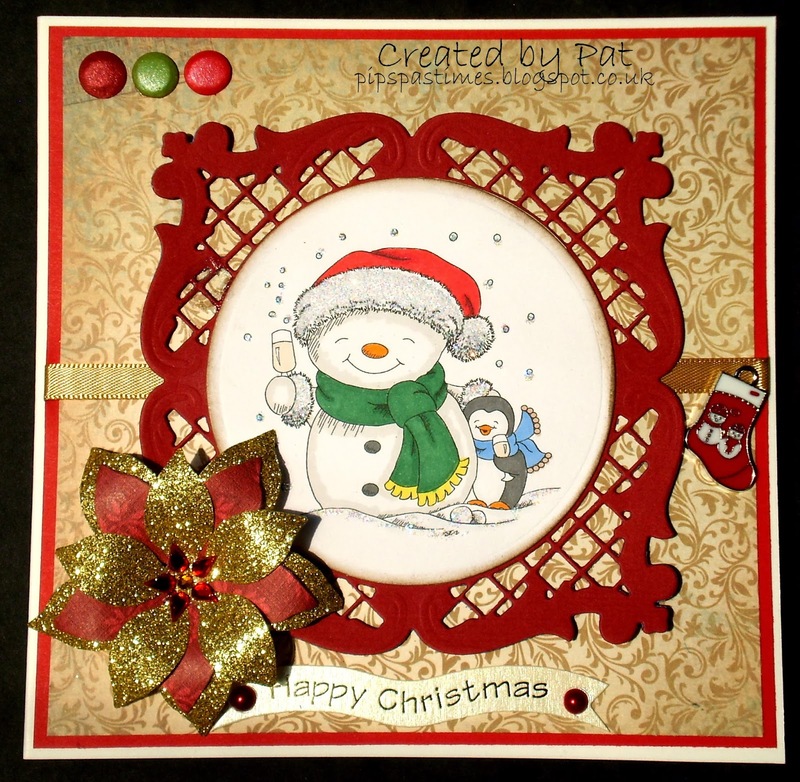 I love the KaiserCraft paper you used in the background, and your poinsettia....wow! Snowmen are my favorite. I really like it all!